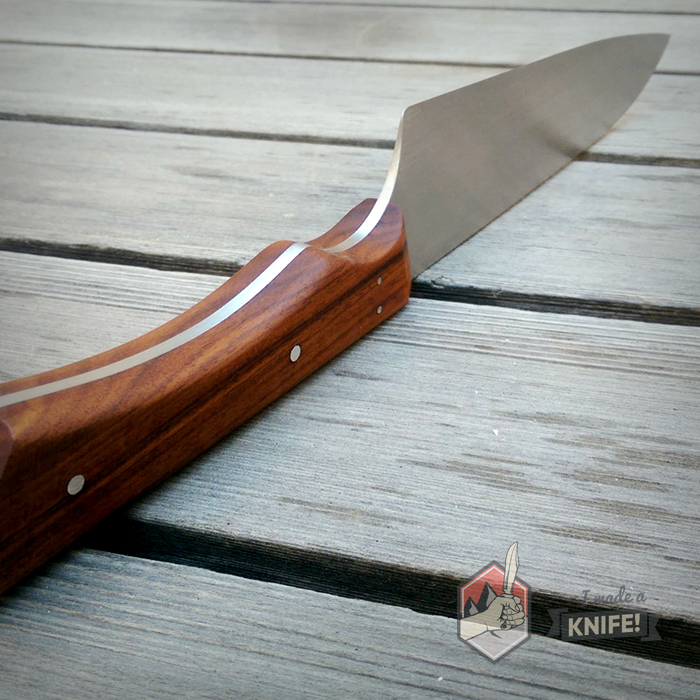 Choosing a Knife - I Made A Knife! Knives come in 100s of different varieties and have even more uses. In fact, our best guess is that knives have been in use for approximately 2.5 million years. They’ve been crafted out of stone, bone, iron, ceramic, steel, and even glass. 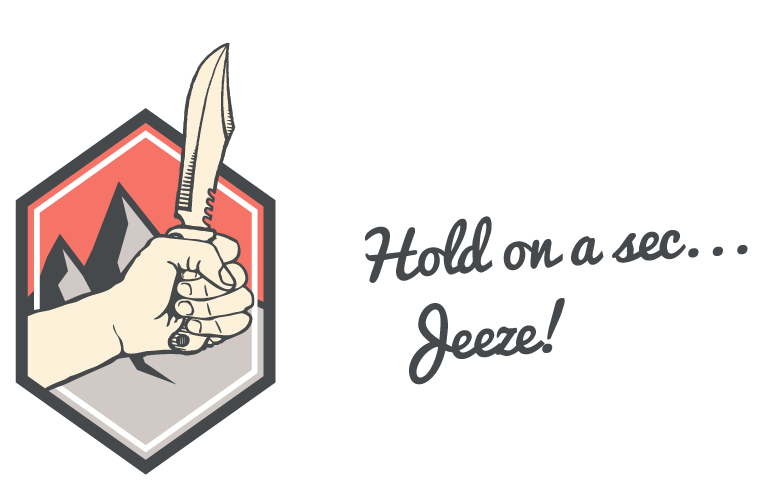 There are two main classifications of knives: fixed blade and folding blade—or, “folders”. We’re going to focus on fixed blade knives because they’re easier to craft and have more robust uses. Any time you add moving parts to a knife, you compromise the strength, and we want something that will continue to perform after sustained heavy use. It’s no surprise that there are 100s of knife types and styles to choose from, each suited to their own particular purpose. Choosing a design for yours is going to depend on what you plan to use it for. Are you making a chef’s knife meant for the kitchen? Are you making a general-purpose survival knife to use in the bush? Are you doing fine work like filleting a fish or looking for something that can hack through whatever it needs to? The answers to questions such as these will help you decide what knife is best. 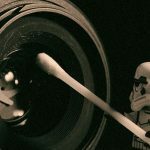 To read into some of the most popular knife types, I wrote an article called 10 Essential Knife Shapes that will help you choose what’s best for you. 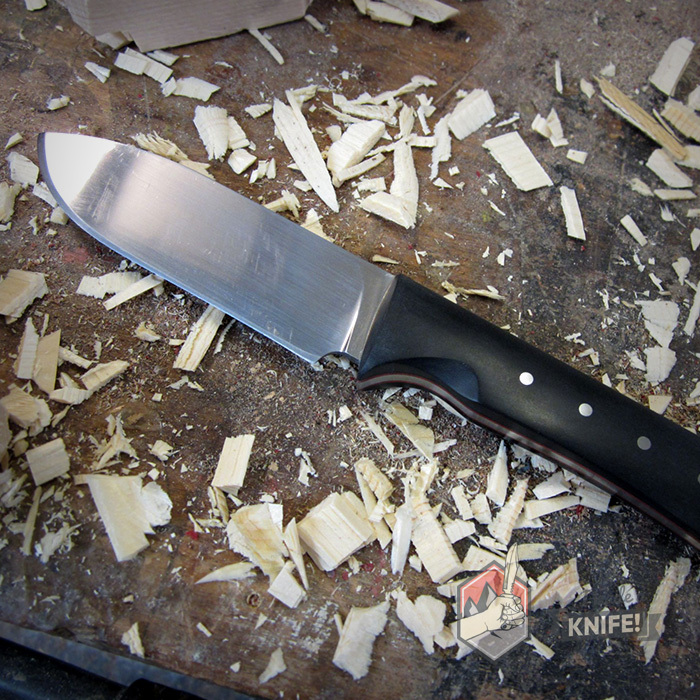 Of course, this isn’t a huge concern when making your first knife; a general-purpose knife would be just fine. 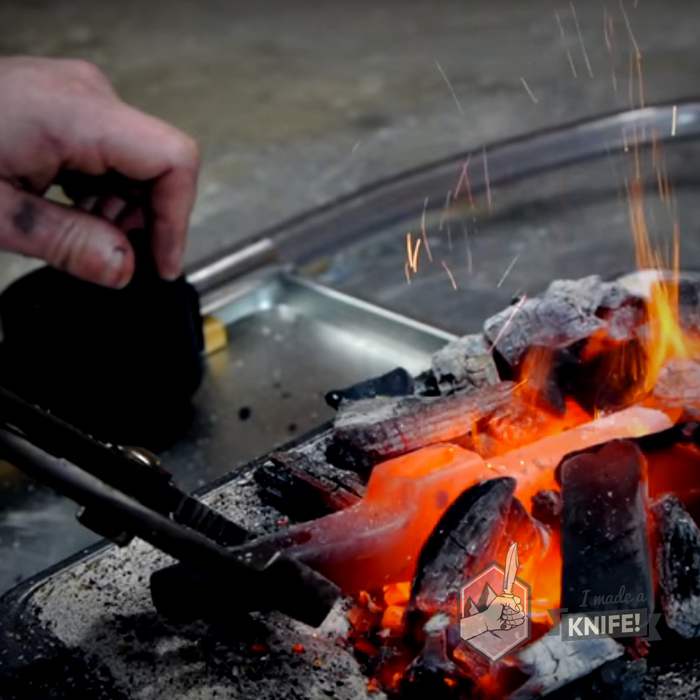 There are two ways to go about creating your very own knife: forging and stock removal. 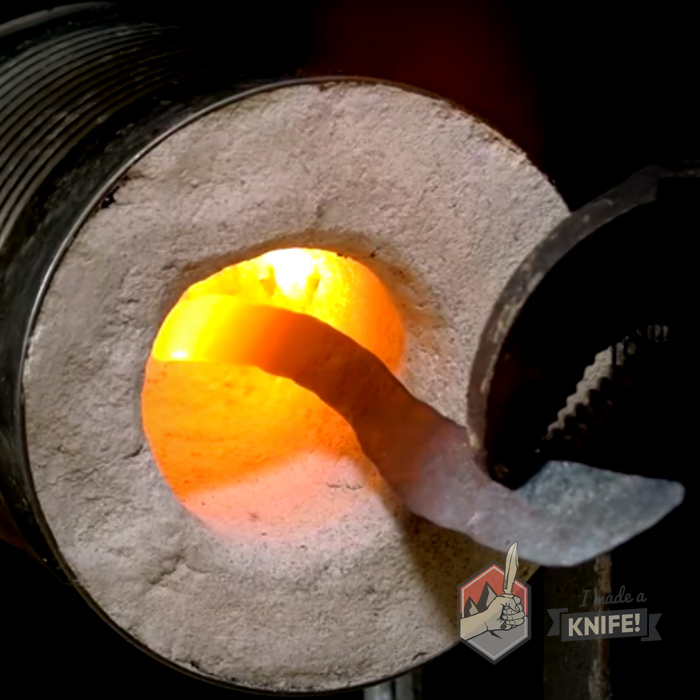 Forged metal blades are created by heating up steel in a scorching-hot furnace then beating it into shape with a hammer while it’s still hot. For those of us who don’t come from the Bronze Age and may not have an anvil handy, there’s the good ole’ stock removal method. This is where you start with a blank piece of steel—aptly called a “blank”—and begin shaping and sharpening it by grinding and removing the metal. We’ll focus on stock removal as it is easier and cheaper to get started with. 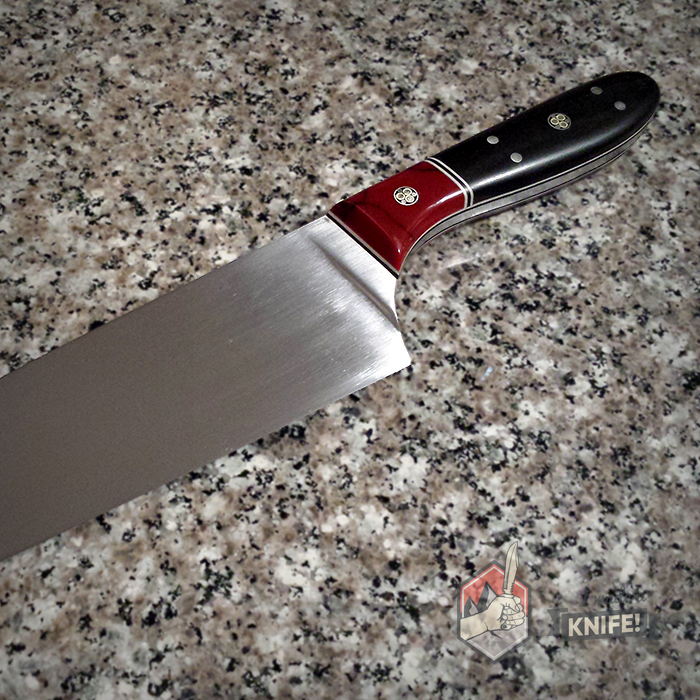 A knife blade can be plain, serrated, both, or even have the reverse edge sharpened or serrated. Plain is great for chopping and slicing, while serrated is great for ripping and tearing. What you see as the handle of the blade is usually composed of two pieces of wood pinned or glued to a portion of the metal blade called the tang. The tang can be a full tang which is visible around the whole outside of the handle (and is thus stronger) or it can be a partial tang which is partially hidden and only makes up a part of the handle (more common in kitchen knives). The full tang is inherently stronger than a partial tang because the metal extends fully into the handle, lending it all that added weight and strength. The less metal you have, the weaker the knife will be, and, as mentioned above, strength is also compromised if you add moving parts that fold or slide. The less moving parts and the more metal you have, the stronger and more robust your knife will be. I Made a Knife! does not focus on partial tangs because of their limited capabilities, though this is not to say that much of the instruction on this site couldn’t be used toward making a partial tang knife if you wanted to. What is a knife made of? 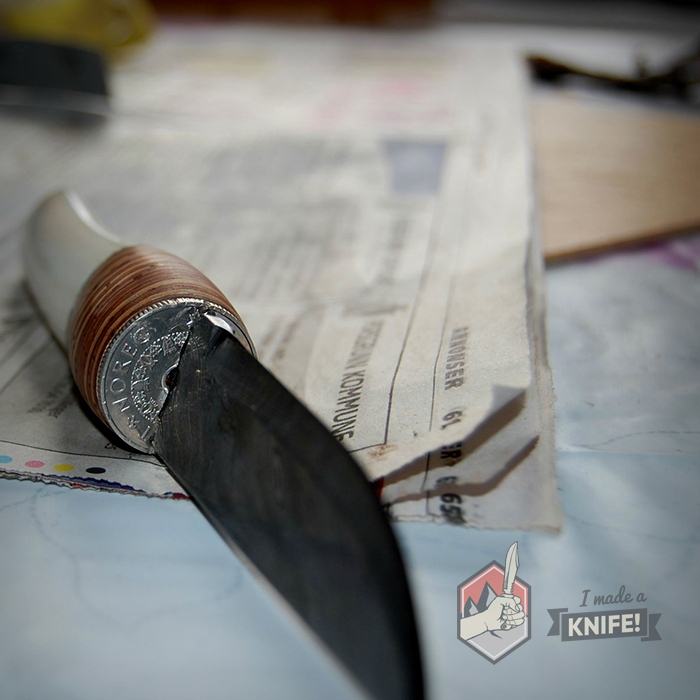 The knife can be crafted from a variety of materials, each with their pros and cons and different methods of treatment and care, but steel is far and away the most popular due to it’s ability to be shaped and manipulated and to hold an edge for an extended period of time. Unfortunately, there’s no easy answer for “what’s the best type of steel?”, because it all depends on how you plan to use and maintain it. However, this wouldn’t be a very helpful site if I didn’t offer some recommended starting points. It would be a safe bet for you to start with a proper tool steel and not recycled or old pieces of mystery metal you find around Uncle Joe’s shop. 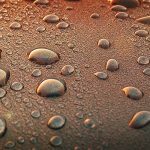 Tool steel is non-stainless and usually has a small percentage—0.5% to 1.5%—of carbon in it to help hold an edge longer (though it’s more prone to rust than stainless). O1 tool steel is very common for beginner and experienced knife makers as it is very tough, yet very forgiving when shaping. The 10-series (1095-1050) is also commonly used because it’s affordable and versatile. Skip on over to the Tools & Materials page if you want some detailed suggestions for steel. Also, Z Knives—an admittedly intimidating, but informative website—has tons of great in-depth content that will tell you what you want to know about steel. One of my favourite parts of the process is deciding on the shape and profile of the knife. If you plan on sketching your own design, get a rough feel for the dimensions you want (grab a ruler and measure your grip, or, measure a nearby knife), and start designing the shape on some grid paper. If you don’t have any ideas in mind, you can check out some of our best knife builds for inspiration, or see below. One of my hopes is to share some of my favourite designs with you so that you can print them out, try them for yourself, and show me how it goes! 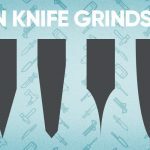 I’ve illustrated a handful of free templates and designs which you can get from the Downloadable Knife Templates page. If you want exclusive knife templates that you won’t find on the site, you can subscribe to my monthly newsletter back at the bottom of the homepage. 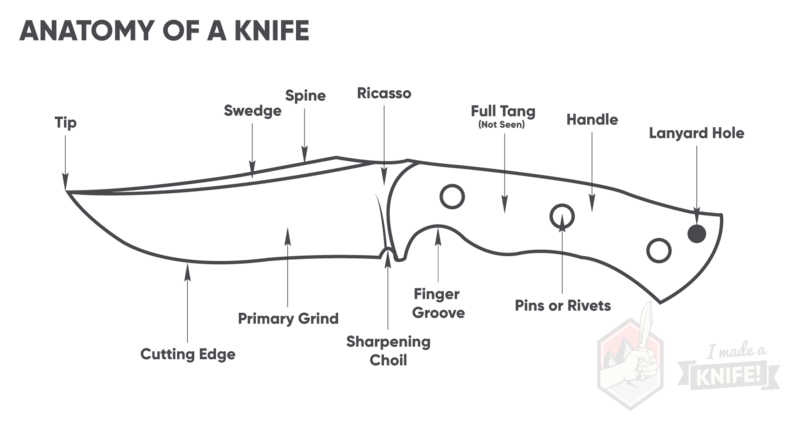 I hope this helps give you a glimpse into what knives are made of and what the process involves! If you have questions, you can use the nifty search bar at the top to search for answers across the site. As always, if you can’t find what you’re looking for, just shoot me a message using the contact form at the bottom. The following Tools and Materials page will give you a detailed breakdown of equipment and materials and their uses. For actual recommendations of what you need, you can see some of the community’s favourite tools on the Recommended Tools and Materials page.